I stretched my hands out to the sky, we danced with monsters through the night. 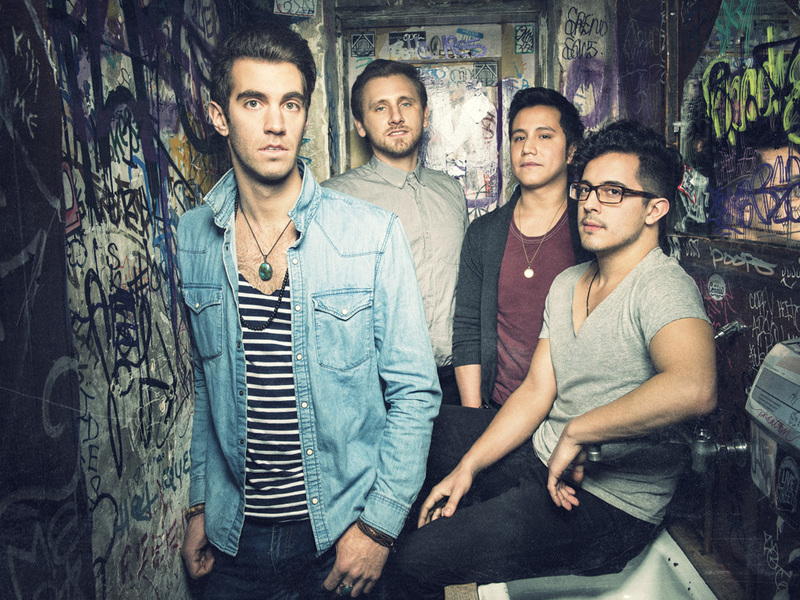 Brooklyn-based alt rock band American Authors first met as students at Berklee College of Music. Shortly after, the foursome dropped out, moved into a small apartment in Bushwick, New York, and started a band. While playing a show in the city, the band was noticed by music producers Shep Goodman and Aaron Accetta, who eventually signed them to their production company, Dirty Canvas. They went on to write ‘Believer,’ the first song to develop their signature sound. In December 2012, the song landed at Sirius XM’s Alt Nation radio, whose tastemaker DJ’s and diehard listeners alike wholeheartedly embraced the song and its human counterparts. Within one month and without a record label, Believer made it onto the station’s tough-as-nails Alt 18 Countdown and led to a huge spike in social media and music sales, an enthusiastic bevy of ‘Believers,’ and a mini-tour with fellow alt rock bands A Silent Film, GoldFields, and Carousel. Self-described “laid-back dudes,” American Authors is comprised of Zac Barnett (vocals), James Adam Shelley (guitar/banjo), Dave Rublin (bass), and Matt Sanchez (drums). Together they hail from the four corners of the country, each bringing their own influences and experiences to the writing table to create pop-flavored alt rock sprinkled with four-part harmonies, spirited lyrics, and contagious optimism. To hear their music and to watch them perform, it can be said that American Authors has the natural ‘it’ factor that leads to music’s most successful artists.